I’ve learned a LOT about managing money since graduating college. Though I’ve been working consistently since 14, I didn’t have the best financial habits for most of those years, and I find myself thinking of how much better off I would be today had I practiced some proper money management early on. 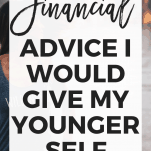 Here is some financial advice I would give myself if I could! Even though I started working at 14 and was working almost full-time in college, I didn’t manage to save ANY of that money. I put aside the amount I needed for bills each month, and the rest of it I viewed as spending money. 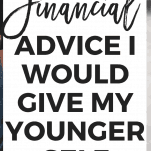 If there’s literally anything I would tell my younger self about finances it would be to save money early, and save as much as you can! When I look back on high school and college and think of all the money I made and did NOT save, it makes me want to ugly cry. Seriously. START SAVING! These days keeping a budget just seems like common sense to me. However, that wasn’t exactly the case when I was younger. 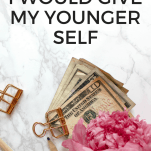 Though I still had monthly expenses in college, I wasn’t good about prioritizing my spending or being intentional and aware of what I was doing with my money. 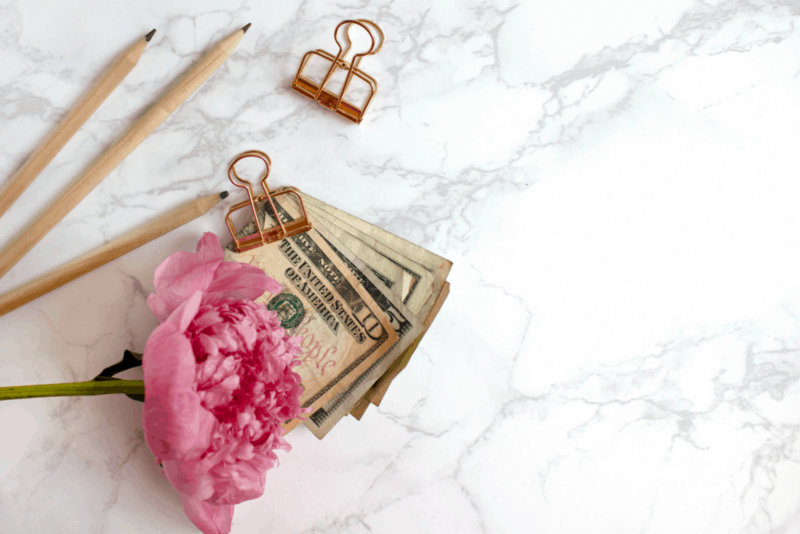 Simply put, you should be keeping a budget! Start by writing down your set monthly expenses (rent, insurance, etc). Then look through your bank statements and figure out what you’ve been spending on things like groceries, entertainment, clothing, and eating out. Decide whether you’re okay with spending that much, and set a monthly budget for each spending category you have. Just as important, however, is continuing to check in with your budget to make sure you’re actually following the budget you created! Do I reach my budget goals EVERY month? Definitely not. But having the budget in place definitely helps and I work really hard to make sure I’m not going over. I was definitely more of an impulse buyer when I was younger. Even for purchases that are necessary or totally reasonable, it still makes sense to research them, which is something I never did. First of all, researching something before purchasing decreases the likelihood of impulsively buying something you don’t need or even really want that much. It also allows you to make sure you’re getting the best price. Items aren’t going to be selling for the exact same price at every store, so at the very least it makes sense to shop around and see where you can get the best deal. Researching your purchases online will also give you time to find coupons to save you a bit of money. With a quick Google search, you can find coupons pretty often, so it’s definitely worth looking around a little! Have I completely cut unnecessary spending out of my budget? Of course not. There are still plenty of Starbucks and Target runs in there, but I definitely don’t shop as often or impulsively as I once did. First of all, I used to buy clothes ALL the time in college, and would only wear many of the pieces a few times. No joke, I purchased clothing that I went on to literally NEVER wear. Now I rarely buy clothes, and when I do, they are pieces I know I will wear often and that will fit with the rest of my wardrobe. I’ve also learned to LOVE thrift store shopping. Seriously, you can find some amazing stuff for unbeatable prices! I also used to spend a ton of money on books, basically picking one up every time I was at the store. I’ve been able to save a ton of money by renting eBooks through my local library instead. I’ve also found some other easy ways to save money on books. Once you’ve made your budget, you’ll be able to see where most of your money is going, and you’ll get a better idea of just how much unnecessary spending is happening every month. Once you identify those problem areas, you can start working on them! I wish there was more of a focus on educating high school seniors and college students on what they are getting themselves into with student loans. I would have needed to take out student loans regardless, but I may not have taken out so much had I known what was coming after college when it came time to pay them back. Had I had that foresight, I would have put more of a focus on budgeting, worked a few more hours at the multiple jobs I had outside of school, and put more money toward college at that time rather than taking out as many student loans as I did. I’m glad I have a degree and wouldn’t really be able to be in my current job without one, but as I’ve watched my student loan balance BARELY go down in the past five years, I definitely find myself wondering if it was really worth it! I never focused on building my credit until after college, simply because I didn’t think I needed to. Or rather, I had no idea what credit was and what I needed it for. However, when it came time to do things like renting an apartment, take out a car loan, or get a mortgage, I definitely found myself wishing I had started working on my credit earlier. Heck, I had trouble getting a credit card later on because I had NO credit! If you’re starting from scratch you can do this with a secured credit card. Make sure to continue to monitor your credit score, and make every payment on time! Websites like Credit Karma are awesome and super easy for keeping an eye on your credit. Most credit card companies are also now offering this service for free as well! Financial advice I would give my younger self is to increase my retirement contributions with each increase in income. While I’m still in a good place with my retirement accounts, I would be even further along if I had saved as much as I could when I was younger.